(NB – There are also dozens of events coming up in our locality – including a St. George’s Day Ball – check out the Events page). For daily updates about life in our district, check the village Facebook page. Lots of us would love to own a classic car, especially a Jaguar, though our chances of that are pretty slim! However, the dream has come true for Douglas Taylor, who wrote to us to say he has just acquired a Jaguar XK 140 FHC (see photos, below). However, the main reason it is of interest to us here in Draycott-in-the-Moors is that the car was once owned by Frederick William Rhead Wildblood (who is recorded as having bought the car, new, in 1957, from Byatts of Fenton). The Wildbloods are famous as the family who owned the Blythe Colour Works in Cresswell right up until 1963 (when they sold it to Johnson-Matthey); and they also owned Draycott Lodge, the big house in Cresswell Lane. Mr Taylor is a real enthusiast & collector of classic cars, which means that he doesn’t just want to own such motors, he wants to find out their history. As he told us, “… it brings them to life, so to speak”. So, he’s asking – does anyone know anything else about the car? Where did Frederick live in the late 50s? What was Frederick’s position within the company? What happened to the car later? Mr Taylor would also love to see any old photographs of the car if any are around. So… over to you. If you have any information please email us, and we’ll pass it on to Mr Taylor. Sticking for the moment with history (and appeals for photographs), it’s really fascinating to hear that the Blythe Bridge & Surrounding Districts History Society (which also covers Draycott) has turned up a mention of a Draycott man who was also a Great War military hero. Lev Wood, the society’s secretary, did the research; and he came across a reference, in the Evening Sentinel of 1918, regarding a Major Bernard Joseph Moore of the Grange in Draycott, a soldier who it says was awarded the Military Medal. (The Grange is in Cheadle Road, just a few yards up from the Draycott Arms). Though Major Moore survived the war, he suffered from having been badly gassed. Our major was born in 1889 to Bernard Moore and Mary Frances Dawes, and, following the war, in 1920, he married Helen Clive. He died in 1963, then living at New Inn Lane in Trentham. 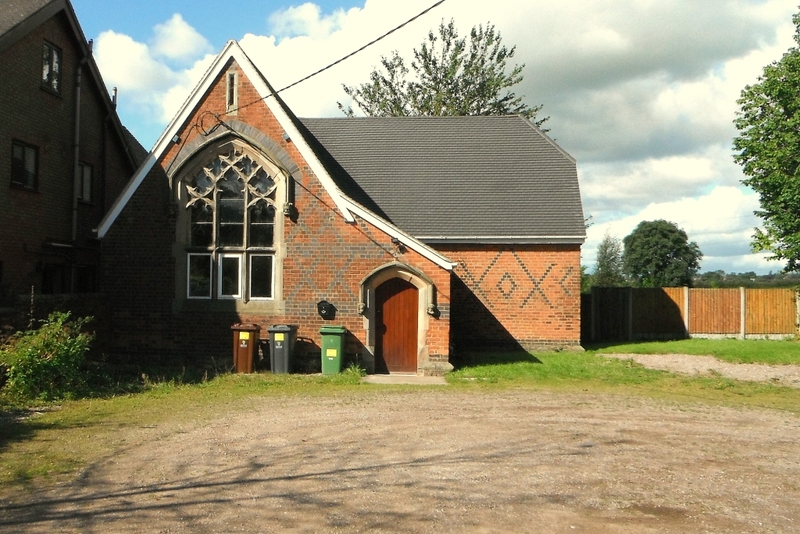 If you ever pass the Church Hall, just up from St Margaret’s Church on Wednesdays, you may have heard an odd sound coming from within. It’s the sound of singers who can’t sing. 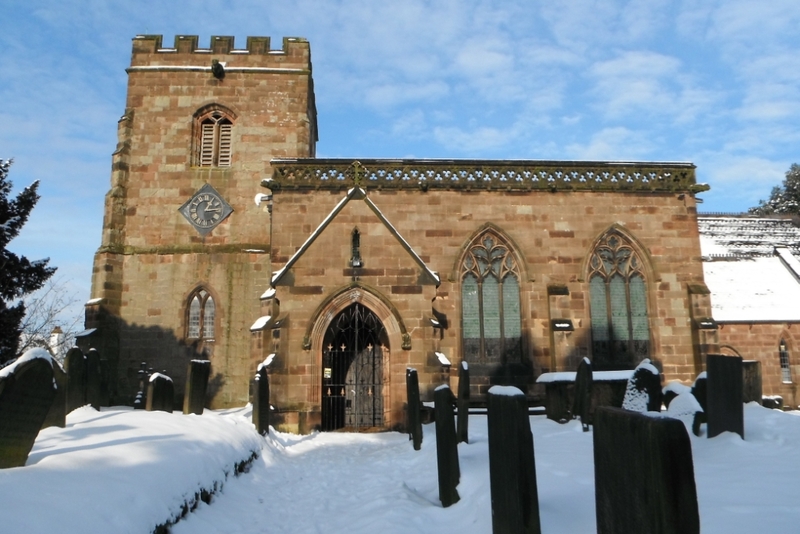 Yes, Steven Booth, a member of the Cheadle U3A, leads a group which meets then at the Church Hall, and he calls his session ‘Singing For The Untuned’! Steven is not crazy though; he just believes that using your voice – even if it sounds to others like you are just making a noise – is very therapeutic … and fun. And no one is allowed to be embarrassed, which is even better. If you fancy going along to have a look and a try, you will be very welcome. The first session you attend is free (any questions, just ring 01782 392972). The next dates are 26th April, 10th and 24th May, and the sessions run from 10am to 11.30ish. It sounds quite a laugh! 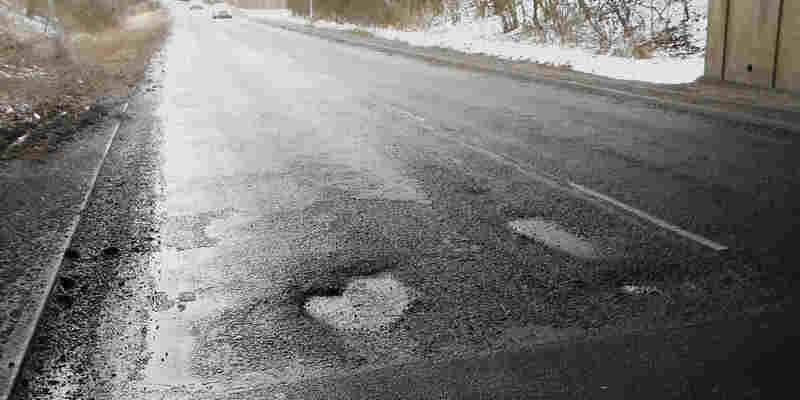 Earlier this month we reported on the fact that Church Lane, the main track up to St Margaret’s Church, was just a mess of potholes and axle-bending bumps. The local Draycott area Council looked into solving the problem but had to basically admit it was too big an issue for them to handle. 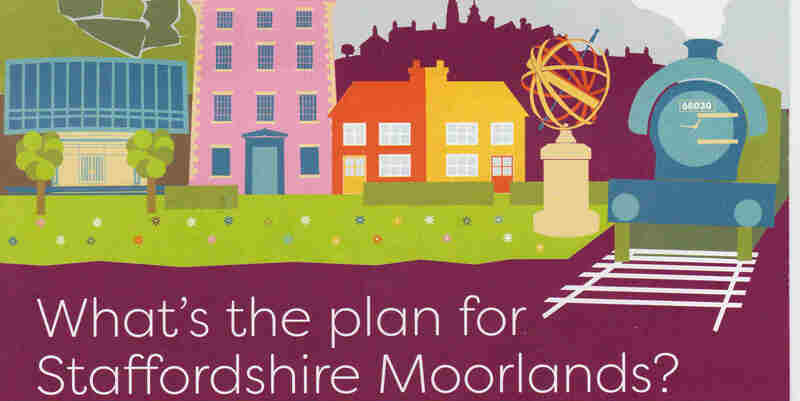 Well, now our same local council has been tasked with solving issues on the other approach to the church also. 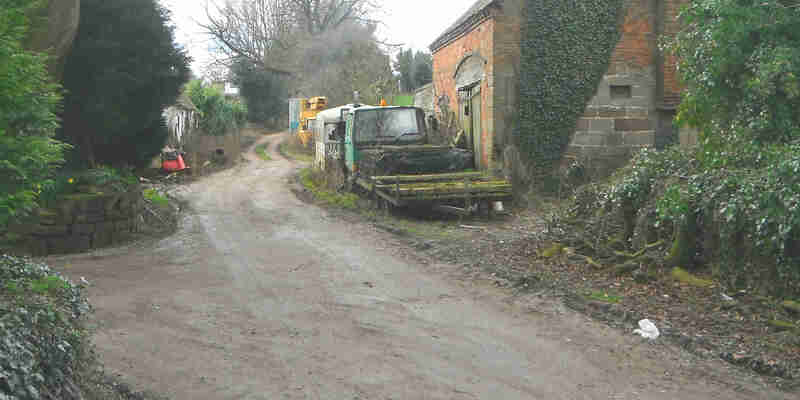 The footpath/track up to the church from its eastern side is known as Rectory Lane (it leads down to Cheadle Rd), and apparently there have been complaints about some old and rusting vehicles that have been left standing in the lane. And finally, last but never least, a belated happy birthday to the parish’s oldest resident, the grandest of grand old ladies, Bessie Hammond, who turned 104 last month. It’s amazing to think that she was born before the First World War even started. Her daughter Susan told us that Bessie (pic, right) did give friends and family a bit of a fright on Christmas Day when she had to go into hospital, but she then came back safely to St Margaret’s Court where she lives, so all’s well that ends well. If you don’t know of Bessie’s long and amazing story, click here for a bit of an insight. What do you do with a bus shelter when no buses come to it any more? That is the dilemma that Draycott local council finds itself in. The bus-shelter next to the Draycott Arms – which was built and is owned by Draycott Council – was crumbling and decaying, but then again, no buses have stopped there for two years (since the Uttoxeter express bus was cancelled) – and it’s pretty unlikely we’ll ever get a bus along that route again. So – should anyone bother doing anything about it at all? (To add insult to injury, someone has taken to dumping piles of old wood at the back of it as well). This is all taxpayers’ money of course, so all of us should be thinking about what the solution could be to this particular headache. If you have a thought, why not present it at the next council meeting, on Monday November 21st? We are almost exactly in the middle of the four years of the 100-year anniversary of World War One, which lasted from 1914 to 1918. This year there is a special commemoration at Stoke Railway Station to remember the men of the North Staffordshire Railway who died in World War 1. Of those who went to the battlefields, one in ten NSR men never came back. One of them was a Draycott man. Sergeant Philip Hawley Bagnall, who joined up in 1914 and was killed just one year later, lived in Draycott before the war. He is remembered on the Draycott Church war memorial, as well as on the Stoke Railway Station war memorial. Lev Wood, of our local history society, researched his story, which you can read for yourself by clicking here. On this year’s Armistice Day, Friday 11 November, the event at Stoke station will see the names of all those NSR men who died being read out to passengers and public on the platform. The reading will take five hours, with one name being announced every two minutes. A two-minute silence will follow at 11am. If you can’t get to Stoke Railway Station, a parade & silence is being held in Blythe Bridge on Remembrance Sunday (the 13th). The community speedwatch team in Cresswell has been hit by a couple of resignations, so it no longer has the personnel to get out regularly with a radar-gun and do the useful work they were doing. The planned Draycott Level speed-watch project seemed never to have got off the ground. The official speed-camera vans, which for a while were seen pretty regularly round here, also seem not to be putting in so many appearances. And that is all a shame, because the threat of speed-cameras does deter offenders… and now the biggest idiots seem to be back, seen bombing up and down the local roads once again. We observed one moron doing what must have been eighty, in a car with a souped-up engine, along Cresswell Lane one Saturday evening a couple of weeks ago; while the forty miles an hour limit on Draycott level is hardly ever kept to at all, is it? The speed disease seems to be spreading to Cheadle Road (the really narrow, bending road up to Draycott Cross). The road-kill there is not just badgers either. 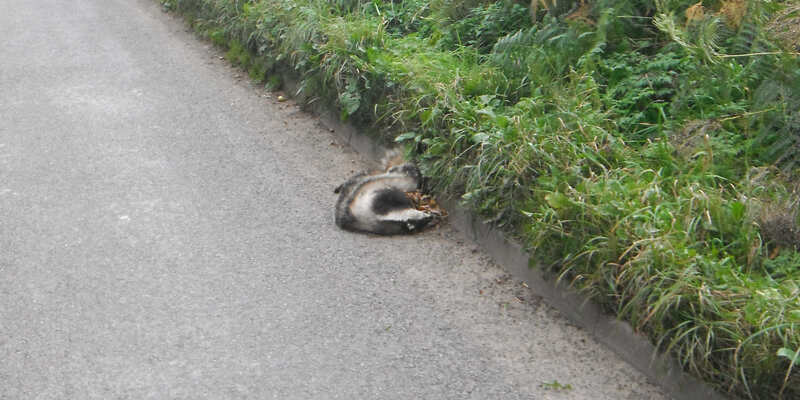 By the way, if you see a dead badger, you are supposed to report the sighting – click here to check what to do. Once again the annual report from English Heritage about UK listed buildings has put the Paynsley Hall ruins on the ‘at-risk’ register. Sadly, this notice about Paynsley seems to happen year after year: the remains of the medieval moat keep decaying, but no one seems to want to do that much about it. Paynsley Hall was an ancient mansion on farmland in Cresswell (just behind what is now Blthe Park) . It was even the site of a small skirmish in the English Civil War in the 1600s when the Parliamentarians ransacked the place. It was substantially demolished in the 1960s, though very small bits of it remain. The remains are, as we say, in very poor condition, though actually it is hard to know just how poor, as the remains can only be approached by permission of the land-owner, which is rarely given. Two years ago, Draycott Council promised to make enquiries, but nothing seems to have transpired. As most of us will know, this month marks the 100th anniversary of the start of one of the most terrible slaughtering fields of World War One – the Battle Of The Somme. Around one million men were killed or wounded across the course of this horrendous battle, which lasted five months. What is less well-known is the connection of the Somme Battle to a little farm in Draycott-in-the-Moors. Past visitors to Totmonslow Farm, which is on the main Uttoxeter Road, have always been struck by the two ‘dead men’s pennies’ which used to hang on the wall at the back entrance. The name ‘dead men’s pennies’ was the slang term given to the medallions sent to the families of the deceased after the war, to commemorate the men’s sacrifice. For some families, to receive such medals was a moment tinged with bitterness. The medallions there remember two of the local Perry Family brothers (see the one for James in the picture above). Sad to tell, the three Perry brothers, Joseph Harold and James Leslie and Arthur all died in the conflict. It was Joseph who died at the Somme – aged just 21 – and sadly his body was never recovered. However, his living descendant, Phil Robinson, told us that his name is commemorated on the Thiepval Memorial To The Missing; and Phil and his wife were able to pay their respects a few years ago. Curiously, Joseph and his brother James (army numbers 12300 and 12301) were serving with The Highland Light Infantry when they died. Why they were with a Scottish regiment is a puzzle, but Phil thinks that many young men, in their enthusiasm to join up, would enlist with non-local regiments just to get into the army more quickly; and they could even be transferred between regiments during active service. So that could explain what happened to these lads. Whereas Joseph died on the battlefield and was reported lost, James and Arthur were probably wounded and then taken to casualty hospitals, where they died. We can presume this because they were buried away from battlefields. James died in March 1915 and is buried at St Severs Cemetery in Rouen. Arthur died in October 1915 aged 32 and is buried at Wimereux, near Boulogne. 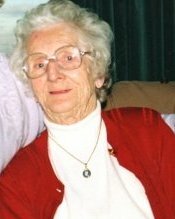 Phil believes he was a married man, living at Tean before he joined up; his daughter was Mary Perry – the cousin of Joe Thorley and Pat and Eve Robinson. (Joe and Pat and Eve are Totmonslow legends, running Totmonslow Farm themselves, for virtually the whole of the twentieth century, until the recent sad death of Pat, the last of them). The question is: why were the medallions at Totmonslow Farm? It’s true that the Thorleys/Robinsons were close relatives of the Perrys, but the Perrys are considered really as a family that lived in Tean. 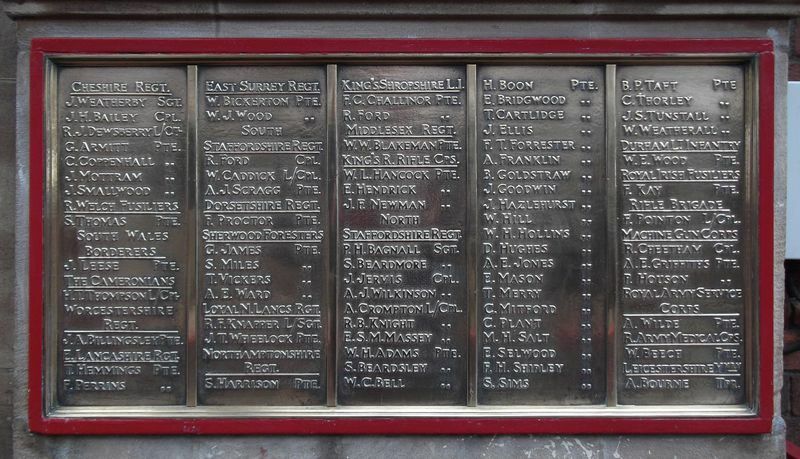 In fact, the lads are commemorated on Tean’s Christ Church War Memorial – NOT the Draycott war memorial. Perhaps the connection is through Mary Perry. However, if you also go along to Cresswell St Mary’s Roman Catholic Church graveyard, you will find lots of Perrys there also. So the Perrys spread themselves around! The medallions are now in safe keeping as important family heirlooms; though the future of Totmonslow Farmhouse itself is uncertain. The memory of that awful conflict, and a world in which young men had to go out to die in such terrible circumstances, will always, one hopes, be remembered – and lessons learnt.